The Graduate is a 1967 American romantic comedy-drama movie directed by Mike Nichols and written by Buck Henry and Calder Willingham, based on the 1963 novel of the same name by Charles Webb, who wrote it shortly after graduating from Williams College. 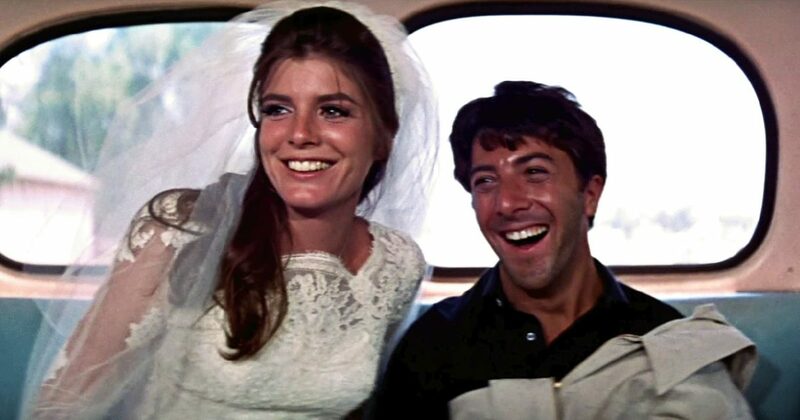 Take a look below for 30 more fun and interesting facts about The Graduate. 1. A bildungsroman that follows its protagonist’s transition into adulthood, the movie tells the story of 21 year old Benjamin Braddock, played by Dustin Hoffman, a recent college graduate with no well-defined aim in life, who is seduced by an older woman, Mrs. Robinson, played by Anne Bancroft, and then falls in love with her daughter Elaine, played by Katherine Ross. 2. The movie was released on December 22, 1967, received positive reviews and grossed $104.9 million in the United States and Canada. 3. 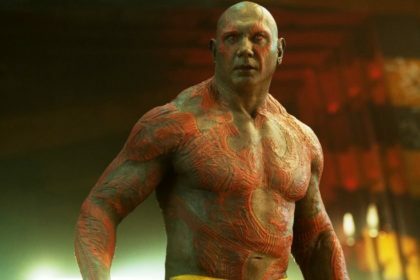 With the figures adjusted for inflation, the movie’s gross is $770 million, making it the 22nd highest ever grossing movie in the United States and Canada. 5. 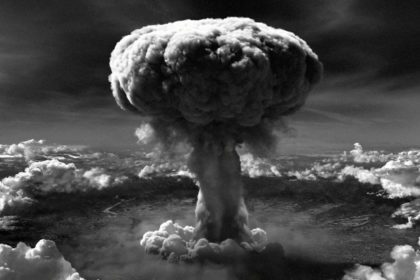 Initially, the movie was placed at number 7 on American Film Institute’s 100 Years… 100 movies list in 1998. When the American Film Institute revised the list in 2007, the movie was moved to number 17. 6. The Graduate won the Academy Award for Best Director for Nichols and was nominated in six other categories, making it the last movie so far to win Best Director and nothing else. 8. When Dustin Hoffman showed up at Joseph E. Levine’s office for a casting interview, the producer mistook him for a window cleaner, so Hoffman, in character, cleaned a window. 9. None of the older characters are called by their first name in the movie. Only the younger characters of Benjamin, Elaine and Carlo do, increasing the sense of a generation gap. 10. When Elaine tracks down Ben in his gloomy room and he causes her to scream, a number of other tenants gather behind the landlord in the doorway. One says, “Shall I get the cops? I’ll get the cops…” This was Richard Dreyfuss in one of his earliest film roles. 11. The movie marked the first time a director was paid a flat salary, not including points, of $1 million. 12. In the famous promotional still for the movie, Dustin Hoffman is seen in the background framed by Mrs. Robinson’s shapely leg. The leg in that photo didn’t belong to Anne Bancroft, however, it belonged to a then-unknown model, Linda Gray, who later played Mrs. Robinson in a London stage musical of The Graduate. 13. Anne Bancroft said that for many years after doing this movie, young men would tell her that she was the first woman they had sexual fantasies about. 14. The movie takes a different visual approach before and after Ben falls in love with Elaine. According to Mike Nichols, the first part is meant to have a cold, glassy, plastic look, while the romantic scenes were done with long lenses and diffused shots. 15. Mike Nichols said that the use of images to suggest Ben is “underwater” and out of his depth in life was deliberate, although he didn’t care if anyone understood this or not. He also used glass barriers to represent people cut off from each other and from the life around them. 16. Dustin Hoffman found it difficult to make the movie because he was used to acting on stage. Mike Nichols would tell him what he was doing was good but to try it again without doing anything. Hoffman said that he soon adapted to Nichols’ minimalist style, which turned out to be just right for his character. 17. Within a year of the movie’s release, plastic manufacturing companies became enormously successful. Many people attribute this to Walter Brooke’s quote about “plastics.” Brooke himself once told his nephew that he would have invested in plastics, if he had known that the remark would lead to such success. 18. 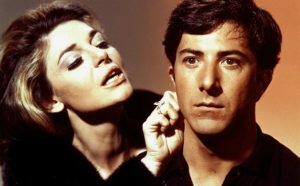 Mike Nichols said that he felt bad for the gentle and very shy Dustin Hoffman, who became an instant celebrity after the movie, because he would see his great discomfort and reticence while being interviewed on television. 19. Dustin Hoffman was told before his test that all the other actors who tested had agreed to a six-picture contract, but he refused, telling his agent that he would rather do it for free and not be obligated to appear in pictures he didn’t like. He ended up getting paid $17,000 without further contracted movies. 20. Some of the scenes of Benjamin in “Berkeley” were actually filmed at the UCLA and USC campuses. 21. In his review, Roger Ebert called the songs by Simon & Garfunkel “unmemorable.” He joked about it years later. 22. Burt Ward had to turn down the role of Benjamin Braddock due to his commitment to Batman and the studio wouldn’t lend him. 23. Sally Field tested for the role of Elaine. 24. In The Player, Buck Henry, who co-wrote the screenplay, pitches a sequel to a studio executive in which Ben and Elaine are married and Mrs. Robinson lives with them after suffering a stroke. 25. The red, Italian sports car which Benjamin drives throughout the movie is a 1966 Alfa Romeo Spider 1600, which is also known as the Duetto. 26. Other actresses considered for the part of Elaine were Natalie Wood, who turned it down, and Candice Bergen, who auditioned but didn’t get the part. 27. Charles Grodin was asked to audition as Benjamin, but was never screen tested. Mike Nichols still offered him a part in Catch-22, which he was already scheduled to direct. 28. The wedding scene was filmed at a Methodist church in the town of LaVerne, a suburb 30 miles east of Los Angeles. 29. According to Susan Hayward’s biographers, Mike Nichols originally wanted her for the role of Mrs. Robinson but she declined because she wanted to avoid modifying her screen image. After Doris Day and Patricia Neal also turned it down, Nichols eventually offered it to Anne Bancroft. 30. Faye Dunaway was considered for the role of Elaine Robinson, but she had to turn it down in order to star in Bonnie and Clyde.